Wayne Myrick began his construction career in the late 60’s working general construction before becoming a self-employed residential contractor from 1973 to 1977. After serving as superintendent and project manager for various Birmingham Alabama contractors, he worked for a decade with Harbert Construction International, rising from superintendent to Vice President of Construction. 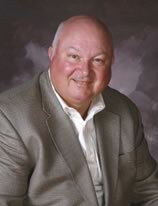 In 1993, Wayne started what is today Myrick, Gurosky & Associates. MG&A specializes in the Design/Build project delivery process for religious related projects all over the southeast and beyond. Wayne’s real foundation is a personal and committed relationship with Jesus Christ. A long time member Hunter Street Baptist Church in Hoover, Alabama, he has served continuously in key roles at the church: Sunday School Superintendent, Deacon (and chairman of Deacons), Sunday School Teacher, Peacemaker Ministry Leader, and Mission team leader. In 1999, Wayne was selected as Stand Firm Magazine’s “Co-Man of the Year”. Wayne currently serves on the Foundation Board at Baptist Theological Seminary in Louisville, Kentucky. Since 2010 Wayne has served as member on the Executive Committee of the Southern Baptist Convention representing Alabama. He and his wife Lynn live Pelham, Alabama. They have three adult children and a granddaughter, Campbell and grandson, Miller. Sign up today to receive news & updates from Doulos Partners.